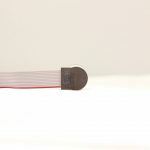 QR787 w/ Shaft - Quantum Devices, Inc.
Quantum Devices, Inc. Model QR787 Is intended for applications requiring high performance, high-resolution digital feedback in a very small package. 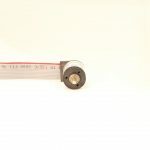 The model QR787 provides the resolution of larger encoder packages, but in a package only 20mm (0.787″) in diameter. 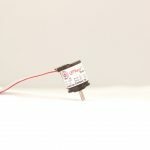 Outputs can be configured in either single ended, open collector or internal pull up resistor, or with an industrial standard RS 422A differential line driver. 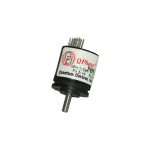 QDI’s patent pending sensing scheme embodies a much simplified encoder design, which ultimately results in longer service life, and less down time due to feedback device failure. 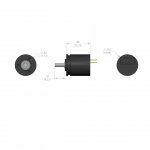 The encoder housing is constructed of a conductive carbon fiber composite that provides the EMI shielding of an all metal housing and performance of a lightweight robust assembly. 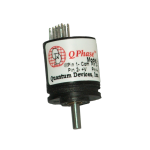 Note: prior to transitioning to RoHS-compliant, the product name was QD787 rather than QR787. Therefore, when cross-referencing a QD787 configuration, simply substitute the configuration prefix with QR787. shaft:* - Please Select -0.125"